Phagocytosis. 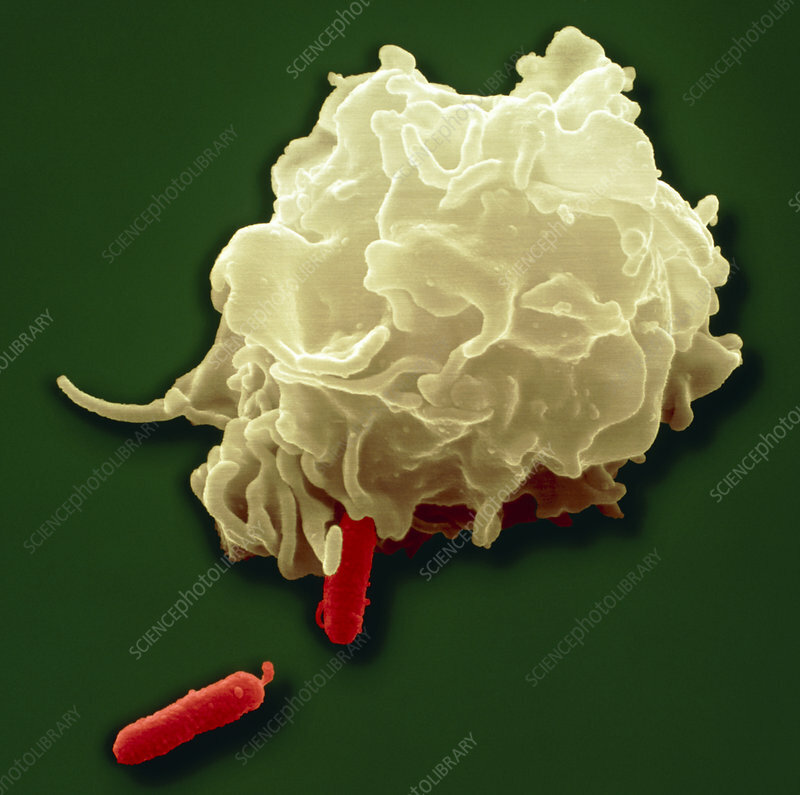 Coloured scanning electron micrograph (SEM) of a leucocyte (white blood cell) phagocytosing (engulfing) a pathogen (red). This blood cell is a component of the innate immune system that is capable of engulfing dangerous foreign material. It elongates parts of its cell body in order to surround its target, then the pathogen is engulfed, taken into the cytoplasm of the leucocyte in a vacuole and digested with enzymes. The innate immune system is especially important in removing bacterial pathogens, against which it is the first line of defence. Magnification unknown.